UPDATE: The Office of Paul Ryan denies the House Speaker will resign soon. Spokesperson AshLee Strong said Ryan, R-Wis., isn’t going anywhere. “The Speaker is not resigning,” Strong told the Washington Examiner in a statement. Ryan’s office did not respond to The Gateway Pundit’s request for comment. 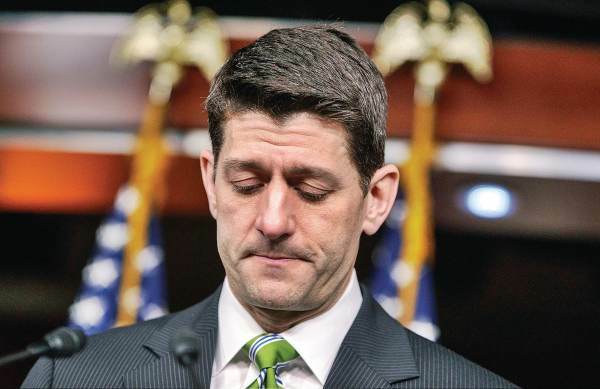 Rep. Mark Amodei (R-NV) revealed on Nevada Newsmakers Monday that House Speaker Paul Ryan is rumored to be resigning in the very near future. Last December, POLITICO reported the Wisconsin lawmaker is set to leave Washington after the 2018 midterm elections. In November, Ryan told POLITICO that he hardly thinks about job security because House Speaker isn’t a position he even wanted to hold.